By no means am I encouraging the practice of dumpster diving. In fact, it could even get you into some trouble. However, as Rob said in his video, he does not believe there is a food shortage problem, but rather a food distribution problem, which in the end, is quite obviously a supply chain problem! Sales forecasting in the grocery trade is no easy task as special factors including best before dates, promotions, weather, day of the week and holiday consumption patterns complicate the process. Additionally, customer expectations are growing, forcing retailers to have everything at top quality, available at all times, which can lead to over-ordering and eventually hefty contributions to the $165 billion in food waste. This is why the three organizations named above want to take demand forecasting in the grocery trade to the next level. The project team is working with data which was provided by Swiss grocery producers and food retailers. A software prototype is currently being developed based on the new algorithms. A plan to comprehensively evaluate the prototype in August 2015 is currently underway. The aim is to further optimize the algorithms according to individual commodities and trades. Apart from the grocery industry, the restaurant and hotel industries can also profit from optimized forecast tools which reduce waste and effectively predict inventory. 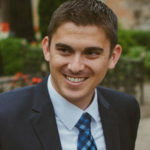 Results from the initial phase of the research project have also discovered great potential for the healthcare industry, where external factors also play a significant role in terms of staff planning. Existing mathematical algorithms are already being utilized in the grocery trade to help off-set some of the industry challenges. 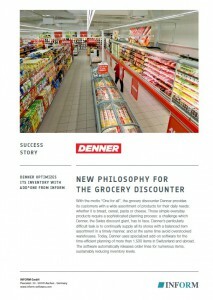 One example is Switzerland’s leading grocery discounter, Denner, which employs 4,000 people in 800 stores. The company is currently using a forecasting method based on advanced analytics to plan over 1,400 items in each of its three distribution centers. The inventory planning process has been significantly improved, resulting in reduced inventory levels which in turn can lead to less waste. Whether it is Rob Greenfield’s eye-opening grassroots movement or the creation of awareness regarding the power of math within the supply chain industry, the fact is that something needs to be done about the food supply chain “distribution” problem. Rob perfectly illustrated the sad supply chain truth after he discovered bananas sourced from Columbia in the dumpster: significant resources (time, money, fuel, water etc.) were used to grow the bananas in Columbia, transport them to the USA (approx. 3,000 miles), stock the shelves, and in the end, they landed in a dumpster. Perhaps in the future, with the power of math and a greater awareness, a more appropriate amount of bananas (and other groceries) can be ordered so that less ends up in a landfill after such a long and expensive journey. If you want to find out more about how Denner is utilizing advanced analytics to improve its inventory planning methods, you can request a copy of the story here. Really impressive post. Your information is really helpful for restaurants to reduce their food wastage and improving inventory management. Thanks for sharing your article with us.